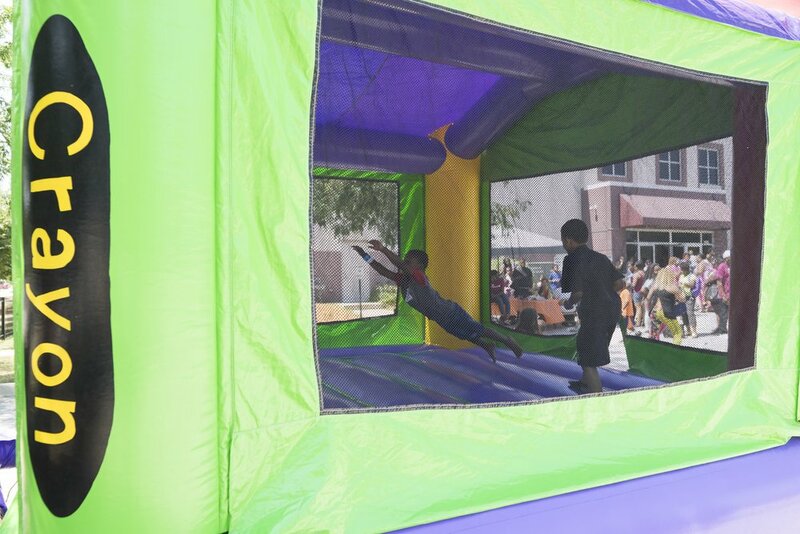 As the sun rose over the bouncy house, 7th Ward families streamed into the parking lot at Compassion Baptist Church for Alderman Greg Mitchell’s Health Fair and Back to School Kickoff. 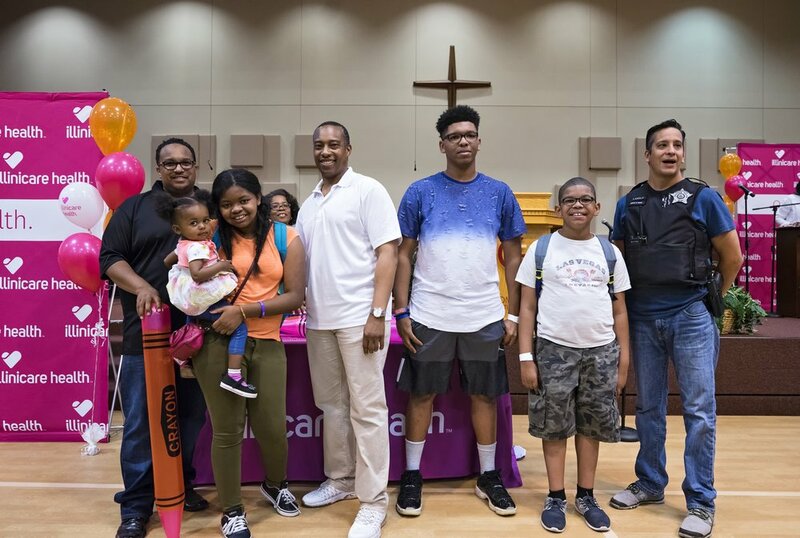 This annual event, co-hosted by Congresswoman Robin Kelly, Iliana Health, and dozens of other organizations, celebrated the start of the school year and provided the community with a day of fun, information and motivation. However, book bags, school supplies, and free food were only a part of this celebration. 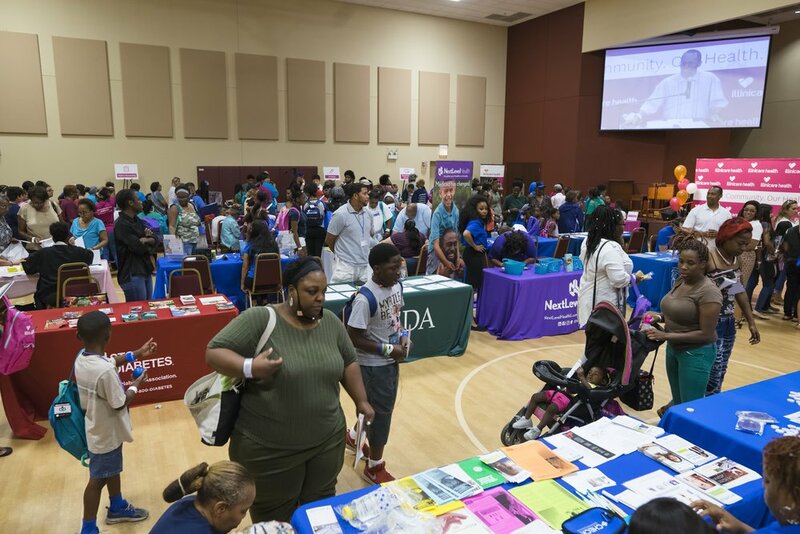 Over 30 health organizations such as The American Diabetes Association participated in the event by staffing information tables and hosting talks on a variety of strategies to improve your well being. 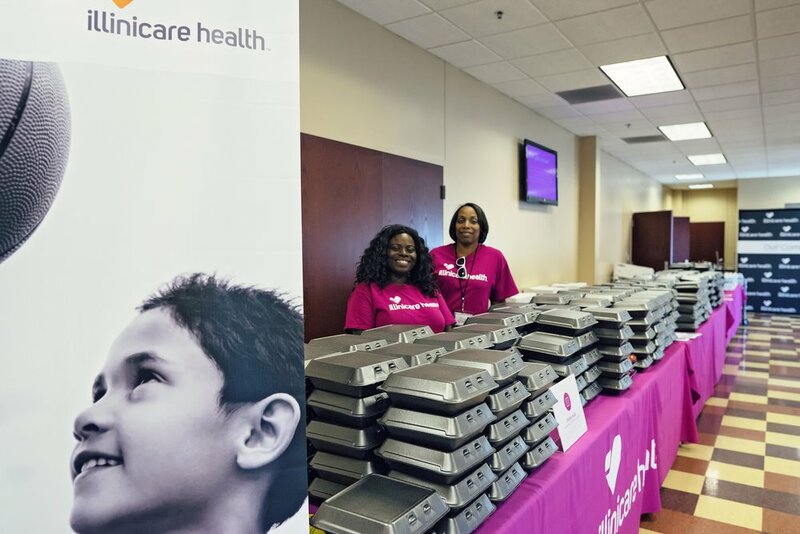 In line with these written and verbal health care resources, were energetic demonstrations of healthy activities like Zumba, which prompted toddlers and seniors to take the floor and join in the fun. 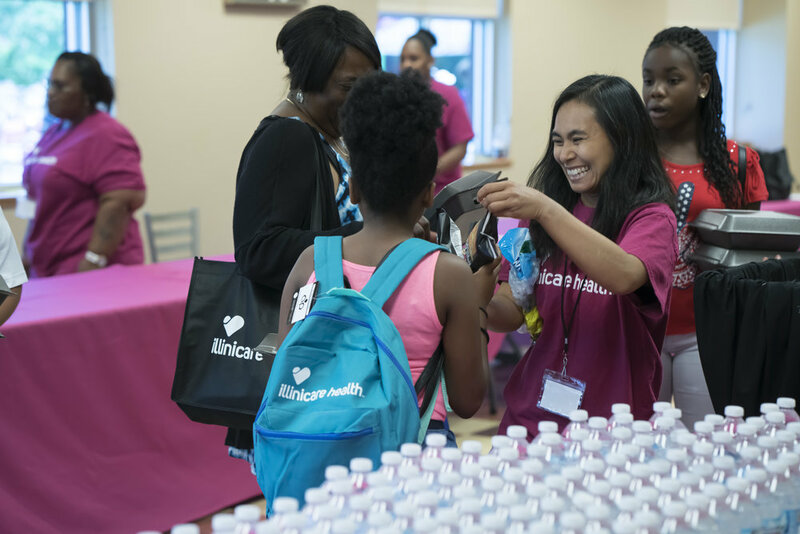 Whether they came for dental screenings, eye exams, and flu shots, or face painting, colorful backpacks and treats, each person left the Health Fair and Back to School Kickoff with something they needed. 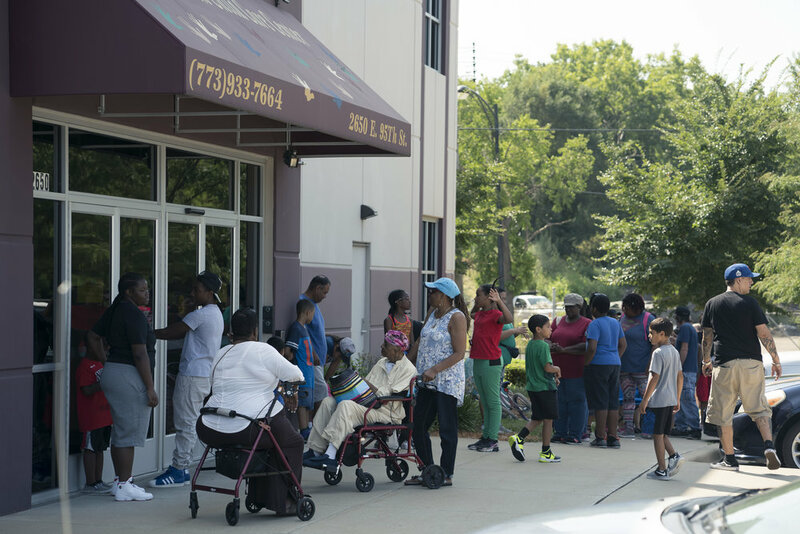 Those familiar with Alderman Mitchell’s work thus far saw the Back-to School Kickoff as yet another example of his continued determination to support the community. In speaking with parents who are aware Alderman Mitchell’s efforts, it his person that reassures them of his leadership abilities, “…it’s just refreshing to have somebody who is visible, accessible, and tentative,” says resident Shon Burns. This, and other events like it, have come from the Alderman’s consistent involvement and active conversations with 7th ward residents. Jeffery Manor block club member Aminah Sillah-Baker says that Alderman Mitchell often reaches out to address current needs and take action. The Chicago Football Classic is Coming!